In the past week we have seen a swarm of negative commentary about Tony Abbott in the media. I say, enough is enough! Firstly, we should all exude an immense pity for his predicament. At heart, Mr Abbott originally wished to be a more infrastructure building right-wing politician. However, he has found himself leading a party whose official policy is the opposite of this, in dogmatically pushing for small government austerity. That is a task Mr Abbott has taken up with dog like obedience, while not forgetting to grumble as a contradictory aside that he originally dreamed of being remembered as an infrastructure prime minister. Austerity measures have gone down with all the popularity of bomb with the Australian voting public. Add climbing unemployment to a waning mining bomb, and you have a cauldron of seething discontent from the public. This will only get worse as the mining boom continues to wane. If politicians really had power, rather than being puppets within the macroscopic structure of a larger system that props them up in the puppet theatre of parliament, then perhaps Abbott might have gotten his way to start Keynesian infrastructure building measures to stimulate the economy. The Party, however, will not permit that. Instead, the Party shows itself increasingly willing to sacrifice Mr Abbott for his failure to sell austerity to the public. Mr Abbott has been warned that he is expendable. Meanwhile, it is certainly true that Mr Abbott’s caustic and divisive style is more suited as leader of the opposition than as prime minister. I actually thought that the Liberal Party would replace him with a more conciliatory and uniting centrist figure just before the last elections—effectively stepping down the opposition attack dog in favour of someone who could provide stable leadership over two terms of government. Admittedly, it is true that Abbott was a frightfully effect leader of the opposition, and a perpetual thorn in the side for Labour and the Greens. However, if Abbott was an effective leader of the opposition for the Liberal Party, as Prime Minister, Abbott has proved an equally effective leader of the opposition for the Labour Party. In fact, Abbott is a an infinitely more effective leader of the opposition than the ineffectual Bill Shorten. Abbott played on the growing discontent towards Canberra during the Rudd-Gillard years, a discontent that was the result of the socio-economic destabilisation from the GFC. Now, as the mining boom wanes, and Australia loses the buffering effect it had on the Australian economy, the economy finds itself increasingly exposed to the stormy seas of the international market, simmering discontent towards Canberra looks set to explode. Australians were deceived into thinking that the prosperity of the Howard years had even an iota to do with the economic management of the Howard-Costello team. Voters imagined that by returning the Liberals to power that China would start purchasing billions of dollars of minerals once again, and that the prosperity of the mining boom would return. The voting public has now discovered that Tony Abbott is hardly the leader of the Chinese Communist Party! Supremely effective as leader of the opposition, Abbott’s supremacy as leader of the opposition even now remains uncontested. He has yet to step up to become the Prime Minister of Australia. Everything that made Abbott an effective leader of the Liberal opposition makes him a toxic liability as “Prime Minister”. I imagine many of those in the Liberal Party regret not having made a change in leadership before the elections, and feel stuck with Abbott. Now, it is too late, and they know they are damned if they change the leadership, just as they are damned if they don’t. If truth be known, a change of leadership to Turnbull or Bishop would have been a disaster for the Left. Unless, of course, they managed to appoint Christopher Pyne or Scott Morrison as Prime Minister. 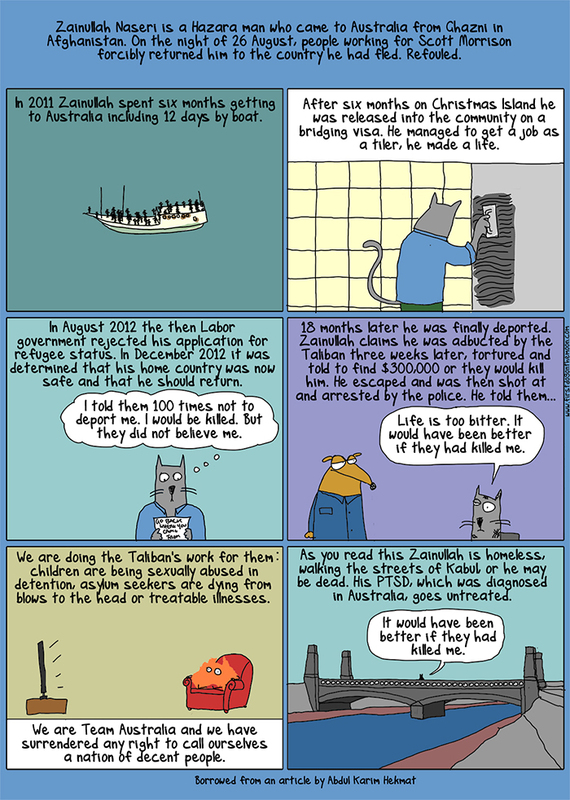 They would be even more effective than Abbott as leader of the opposition. Then again, even if the Party leadership is changed, it will hardly change the Liberal Party’s overall set of dogmas. It will merely be a different leader who will be forced to push them onto the public even where it is contrary to their personal principles. There nonetheless remains no doubt that the Left should heartily welcome the fact that the Liberal Party has chosen to stick with the highly divisive Tony Abbott. He is a free gift served up on a silver platter, even if on this occasion it was not done in the manner of John the Baptist. Abbott is the best chance that the Left has for a one-term Liberal government, when a mortally wounded and highly divisive leader drags a fractured Party towards electoral slaughter at the next federal election. So with that, a tribute and toast to our beloved Prime Minister—the Right Honourable Tony Abbott. Ladies and gentlemen—God save the Queen! Why is Tony Abbott Committing Harakiri? This is my first blog entry for 2015. I hope all readers have had a great holiday period. A lot has happened in Australia since my last entry. Much of what has happened has followed a course largely following what I predicted, but the explosive volatility of the situation means that a lot is going to happen that is impossible to precisely predict. Firstly, as the mining boom wanes and unemployment climbs, the interest rate has been cut by the Reserve Bank of Australia. At the same time, the Australian dollar is tanking. When currencies are overvalued, as the AUD was on reaching parity with the USD, this is often followed by a swing in the opposite direction leading it to be undervalued. A rate cut will accelerate the decline of the value of the AUD, as it becomes less attractive to overseas investors as a high yield currency. The US Federal reserve may well soon raise interest rates, whereupon the AUD may collapse in value. I would not be surprised to see the AUD drop consistently to around the 65-69 cent to the US dollar mark, or even transiently to around the 55-59 cents to the US dollar during periods of volatility, before eventually climbing back to historical averages. This type of wild swing in currency value leading to gross undervaluation has historically often lead to a banking crisis. If the economy worsens and there are increasing numbers of distressed sellers and mortgage defaults, this would exacerbate any banking crisis. A deflation spiral from deleveraging will also cause stress on banks. The values of bank shares will likely plummet to historical lows. It will not be long before the interest rates here will reach close to zero and we will soon see the Reserve Bank of Australia undertaking quantitative easing. In fact, they might as well start now, if they had any foresight. The government may have to bail out some banks soon to the tune of billions. While the media circus portrays dissatisfaction with Tony Abbott as a personality game, it more likely reflects growing economic stress amongst the general population. Nor will replacing one personality with another do anything towards improving the state of the economy. As long as the Liberal Party pursues austerity, personality games matters little. Unless there is a fundamental change in economic strategy, all media circus personality games will do is provide fodder for Murdoch tabloids peddling salacious stories while the economy goes down like the Titanic. The government should really be thinking about an aggressive round of stimulus right now before the ground collapses underneath them and they end up a one term government. The Australian Liberal Party need to take a leaf out of the page of the Japanese Liberal Party. That, however, is exceedingly unlikely, as the Australian Liberals would rather die an agonising political death than to wake up to find that they are “all Keynesians now”. This represents a fair dinkum Aussie variety of harakiri. Energy Policy: Will Australia Fulfill its Economic Death-Wish? I suspect the last post decrying the Direct Action policy of the Liberal government as a pointless tree hugging exercise would probably be greeted as neither fish nor fowl for most. That is a good thing, though it will hardly prove popular, since pointing out that a market mechanism for carbon trading is ironically more of a hard-nosed free market economic based reform than Direct Action will hardly prove popular with anyone. The problem with most green politics types is that they are too concerned about hugging trees, and waste their time and breath trying to convert their political rivals into fellow tree huggers. Sadly, however well meaning such sentimental environmentalism is, it is a complete waste of time, since it merely preaches to the converted, but will prove perfectly counter-productive, as it constitutes an open invitation for contrarian right-wingers to increase their wanton destruction of the environment for monetary gain. Previous studies have suggested that focussing on the economic benefits of the development of a clean energy future is far more effective as a means generating positive views about the field. That is why it is probably totally ineffectual to harp on about global warming doomsday scenarios, however perfectly scientifically accurate they may be. Keep in mind that this is not a video from a green energy investment group. Note that the speaker says that with the increasing demands for energy from growth in the developing world, there will simply be insufficient fossil fuel to meet future energy demands. The solution is simple: invest in technology to manufacture clean fuels at will without having to enter into a conflict over a dwindling resource. Solar panels may be bulky, cumbersome, and inefficient today, but that will change in due course. The same technological transformations will advance solar energy as it did IT technology. And, the simple fact is that the masters of the world tomorrow will be those who own the clean energy patents, not those who hold geopolitical hegemony over Middle Eastern oil fields. That means that with every day that goes by, fossil fuels technology is getting closer to going the way of the abacus and the dial-up modem. Waging multi-trillion dollar wars in the Middle East, or propping up dubious political regimes to divide and conquer for hegemony over Middle Eastern oil fields will simply be reduced to a pointless and unnecessary waste of time and money. That is bad news for Israel. The struggle for geopolitical rivalry over energy sources is ancient. For example, the war between the Roman Empire and the Carthaginian Empire can be seen as an energy resource driven geopolitical rivalry. The oil over which they fought was olive oil, or more specifically they fought to gain hegemony over the olive oil trade routes. That was the fuel that they burnt in lamps, cooked with, and traded in. Whoever had political hegemony over Mediterranean trade routes had hegemony over the known Western world, including over the Middle East, over which the Roman Empire maintained better long term control than any other Western empire before or since. Today, geopolitical tensions in the Middle East are being fueled by a quite different kind of oil. Yet even WWII can be seen as struggle for hegemony over oil supplies. The British, Americans, and Russians maintained control over oil fields, with the result that Germany and Japan simply ran out of oil to continue fighting. Subsequent battles between American backed Israel and Arab nations are all a continuation of this struggle for sovereignty over oil fields. Alas, the Pax Americana has proven to be as unstable as the Pax Britannica that once ruled over the Middle East. Both of these powers could have learnt a thing or two from the way the Romans not only won the war, but convincingly won the peace, the Pax Romana, in the Middle East. However, the time when maintenance of energy driven need for Middle Eastern hegemony is gradually coming to an end. That means that the race is on for technological hegemony within the coming clean energy technology sector. Unfortunately, we have a Prime Minister in Tony Abbott who has loudly committed himself to an Australian energy future based on a 20th century technology that is rapidly aging, and looks set to become redundant. That means Australia has committed itself to a future of economic and technological redundancy. This represents nothing less than Tony Abbott’s personal death-wish for the economic future of Australia. 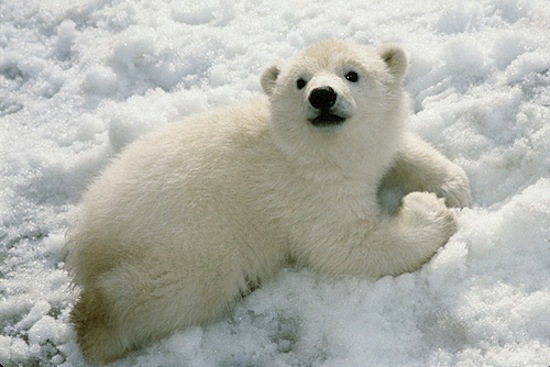 In the mainstream discourse on climate change, the narrative is constantly repeated that tackling climate change is purely a philanthropic exercise, akin to donating money to a charity devoted to saving the polar bear out of pure good will. We are then told that the Australian government is in debt, that there is “budget emergency”, meaning that Australia cannot possibly afford to donate money to such a charity. We are told that there is allegedly great uncertainly amongst the scientific community about whether climate change is even real or not. That means that, however cute polar bears might be, money donated to the climate change charity might be going down the drain anyway. The good will should therefore be reconsidered. The counter-discourse to this goes that due to climate change, the oceans are rising as polar ice caps melt, and islands in the Pacific are under threat of disappearing under water. For the sake of adverting an environmental disaster, action to counter climate must be taken urgently by eliminating the use of fossil fuels. The destruction of forests too must be averted. Carbon dioxide must be treated as an environmental pollutant, and large amounts of money donated towards drastically curb emissions lest the sky fall on our heads. It would be better to risk wasting money on averting an imaginary threat than to find out only too late that it was all too real. The fact is both the discourse and counter-discourse are deeply problematic in how they constantly lock horns, wasting precious time going nowhere. A far more enlightened way of looking at climate change is not merely as a tree hugging exercise, but to see it as an enormous economic opportunity. The fact is that as the world economy grows and more developing nations industrialise, it will not be possible to continue to rely on fossil fuels for the world’s future energy demands. That means vision is needed so we can easily manufacture energy without reliance on a profoundly limited resource, one that is will likely have an adverse economic impact in terms of environmental disturbances. Energy manufacture may not be a common term. However, just because something is perishable such as electricity, it remains correct to use the term “manufacture”. As Einstein’s famous equation (e=mc2) states, matter and energy are the same thing anyway. Thus all matter is as perishable as energy. The expression “energy manufacture” covers the concept of electricity manufacture, as well as synthetic manufacture of forms of low emission synthetic fuels. It is only a matter of time, anyway, before electricity can be stored. The beauty of this is that energy manufacture will replace the increasingly dated process of arduously digging up fossils from the ground, and will reduce this cumbersome procedure to a complete waste of time and money. Being able to manufacture energy at will, often literally out of thin air, also has the advantage of producing energy independence. After all, the Liberal Party is concerned about food independence, so energy independence should be just another facet of the same objective of geopolitical sovereignty. If energy independence is achieved, no longer will geopolitical events in the Middle East affect energy prices in the matter that conspired to engender the oil shock. Not only that, but energy manufacture will be an enormous industry within Australia. Instead of importing energy, Australia will manufacture its own. The energy manufacturing sector will contribute a huge amount of GDP to the future Australian economy. Anyone with any vision and foresight would be licking their chops at the prospect of such a future. Especially anyone concerned for the future economic prosperity of Australia. Before resources dug up from the ground like coal and oil end up defunct dinosaur fuels for a dated 20th century technology, a product that nobody wants to pay decent money for, Australia had better get cracking setting down the foundations of its autonomous energy future. A perfect way of starting to build Australia’s energy manufacturing future would be to collect a tax on old fashioned fossil fuels and aggressively reinvesting it in the future energy infrastructure. After all, in the future, the political masters of the world will no longer be those who own or hold political hegemony over fossil fuel resources, but those who own the patents to the new clean energy technology. If Australia invested in developing clean energy technology ahead of the rest of the world so that it held clean a large proportion of major energy patents, Australia would become a political and economic giant. But the Liberal Party wishes to fight tooth and nail to forgo such a prime opportunity at all cost. That is why Tony Abbott is staunchly opposing the discussion of a clean energy future at the Brisbane G20. Whoever thinks that building the energy infrastructure future is too expensive is an abject fool who thinks that fighting for the license to print money (ownership of energy patents), and setting up money printing presses (manufacturing energy) is too expensive to bother with. Yet, in that race, Australia is getting itself dreadfully behind and getting left out in what will soon be a clean energy technology gold rush, while dinosaur fuel stocks crash and dwindle to oblivion. It will not be long before the next stock market boom will be the clean energy manufacturing sector boom, akin to the nineteenth century railway stock boom, or the twentieth century IT boom. Investing in this sector now is like investing in Microsoft stock in the 1970s, something people may have laughed at or belittled at the time, just as some people ridicule the clean energy sector today. 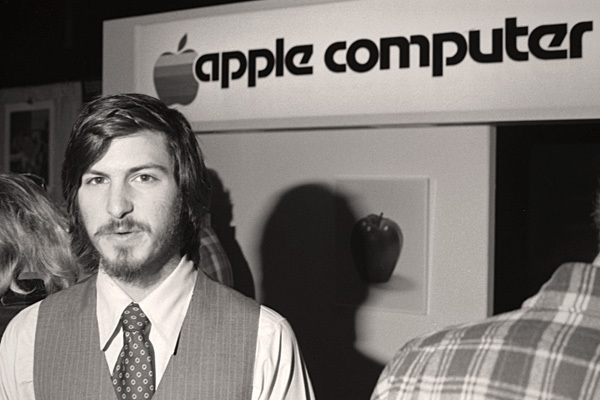 Apple computer was started by the young Steve Jobs in the back of a garage. The fledgling clean energy sector will be the next technology revolution to propel the economy, and investment here will reap rewards for those who have sufficient vision for a better future. As for whether climate change is real or not, that matters precious little. The majority of developed nations in the world accept this. Even fossil fuel corporations accept this. The die is cast. Anyone who buries their head the sand will merely get left behind and lose out in the race, while rambling that it is not happening. After a while, trying to export fossil fuel to the rest of the world on the argument that climate change is some giant conspiracy will not only be laughed at, but the demand for such fuels will fall so low that it will hardly command a price worthwhile even bother to peddle such worthless junk. To invest in an Australian future based on an energy technology that is rapidly becoming obsolete is foolish beyond belief. To dismantle carbon pricing is like dismantling the high speed broadband network to invest in dial up modem technology on the basis that it represented the bright future of Australia. It is rather nothing more than planned suicide for the Australian economy. The only reason the Liberal government government would implement such a plan would be to please the pressure groups formed by the mining corporations. Tony Abbott is merely serving the interests of mining companies who fund the Liberal Party rather than serving the long-term national interest. Short term political gain is being put ahead of the future of the nation. After all compared to the long future of the Australian energy sector, a politician’s shelf-life is very short. It is about short term political gain for long term national pain. It is even more laughable that the alternative to carbon pricing will be a risible tree planting exercise that does nothing to plant the seeds of what will be an enormous Australian clean energy manufacturing industry. Nor do scientific authorities believe it will do much towards reducing greenhouse emissions. It is, in effect, little more than a emotional Liberal tree hugging exercise, one that leaves the Greens on the side impotently pushing for a hard-nosed economically rational market mechanism for greenhouse emission reduction! So, it seems the Greens and the Liberals have swapped roles. The Greens push for tough-minded market based economic infrastructure building while the Liberals waste money indulging in a $2.5 billion dollar tree hugging exercise, a dopey hippy’s programme of rosy-eyed symbolic and sentimental value only, one that does little in the way of the hard-nosed national infrastructure building that Tony Abbott claimed he would commit himself towards. 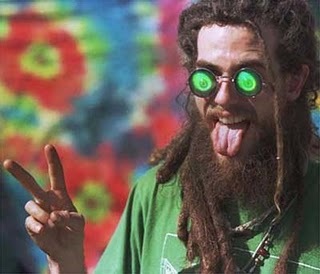 Of course, as far as the mining companies are concerned, the major advantage of mobilising the comical Green Army of tree huggers is that it will avert doing anything towards bolstering competition from the looming clean energy sector, competition that increasingly threatens the monopoly of the fossil fuel energy sector. Rather than believing in market capitalism and encouraging free competition, while building the future infrastructure and prosperity of the nation, the Liberal government is supporting dinosaurian monopolies to quash the rowdy upstart clean energy sector that increasing threatens to render the fossil fuel industry obsolete. Worse still, encouraging private households to sell solar energy fed back into the grid would further whittle away the hegemony of fossil fuel energy behemoths, while giving power to individuals. Nothing could be worse than that for the Liberal Party, for then the fossil fuel industries that fund the Party would have their energy sector monopoly threatened. It is this empowerment of individual households by collectively turning them into energy manufacturers that makes the development of solar energy so popular amongst German voters of all political persuasions, yet the voters in much sunnier Australia have been silenced, and instructed to continue to line the pockets of Liberal Party’s mining industry donors. As for all of those things mentioned by environmentalists about polar bears having their habitat threatened, indigenous peoples in the Amazon having their homeland destroyed, not to mention increasing droughts threatening farmers and forest fires threatening homes—they still remain deeply important. Emotive energy policy talking about cute polar bears and tree hugging needs to be replaced with evidence based economic policy. The problem is that weeping ostentatiously over polar bears and indigenous peoples, however utterly tragic their fate, represents time wasted merely preaching to the converted, while leaving heartless conservatives utterly unmoved or even violently repulsed. If the human species is to have a future, we must move away from weepy, sentimental green jingoism towards a ruthlessly scientific, evidence based energy policy backed by rigorous economic analysis. Yet despite holding such emotively based idealistic arguments in utter contempt, the Liberal government has turned into everything they claim to fight against by wasting $2.5 billion dollars of taxpayers’ money, money that the reputedly impossibly debt ridden nation cannot afford, in some sentimental tree hugging Direct Action programme. It is hard to stop laughing loud enough. Tony Abbott: the ultimate dopey tree hugger. The Liberal Party of Australia needs a sober energy policy to carry Australia into the future, or else risk being utterly decimated in the race to win a place in the new energy world order. One who fights monsters must beware turning into the very monsters one purports to be fight. Yet that is exactly the trap that the Liberal government has fallen into. For there is nothing neoliberal or market capitalist about these tree hugging “Liberals”, who have forsaken market mechanisms to drive energy technology development. Instead they should rename themselves the Tree Hugger Party, lead by one truly dopey Prime Minister, tripping on his own hallucinogenic ideology. Republican president, Richard Nixon, once famously said “I am now a Keynesian in economics”, usually misquoted in the apocryphal version that goes “we are all Keynesians now”. Since Nixon’s time, the mantra has subsequently been replaced by that of “we are all Thatcherites now” to reflect the hearty embracement of monetarism; and by “we are all Austrians now” to reflect the adoption of Austrian school non-interventionist laissez faire neoliberal economics. Whatever the case, on the right of politics, Keynesianism is supposed to be dead and buried as a macroeconomic theory. However, while the right claims to having moved on from Keynesianism, and to have rejected centrally driven stimulus, to have openly embraced smaller government with reduced expenditure, along with non-interventionalism, and claim to strive for government surpluses — at heart they all know that, whatever faddish ideological facade they choose to hide behind, their old mantra of “we are all Keynesians nows” remains immeasurably more true true today than it ever has been. However, the difference is that it is not the usual civilian Keynesianism they embrace, one of peacetime public works leading to public infrastructure building for the common social good. Instead, they all unfailingly believe in military Keynesianism. These people know perfectly well that there is no more certain way of injecting taxpayer funded infrastructure stimulus into the economy to the great profit of industrialists. In fact, it is thought that the Keynesian infrastructure stimulus that lifted the world out of the Great Depression was World War II, which necessitated an unheard of expansion of industrial capacity. Clearly, a repeat of this is considered iminently desirable, since the paltry civilian infrastructure stimulus arising from public projects such as the woefully inadequate New Deal were nowhere near sufficient. Even more than in God, the modern political right steadfastly holds onto an unshakable Faith in War. God is only of utility to confer His sanctimonious blessing to war, and its “creative destruction”. And the God of War is a Keynesian! It is indeed a divine blessing to the modern industrialist that high-tech weaponry is expensive. Just a single guided missile costs a huge amount of money. The best thing about modern weaponry is that if you are smart enough, you produce your own. That means, for many countries, this acts as an immense Keynesian infrastructure stimulus to one’s own economy — one worth billions, or even trillions of dollars. Best of all, everything goes into your own country to give vast impetus to the perpetuation of its industrial and technological infrastructure. You would never trust China enough to outsource arms production to them just to save money. That is why Ronald Reagan was the ultimate Keynesian at heart. Touted today as a small government liberal, he actually shamelessly expanded government spending, greatly increasing federal influence, size, and power. The pinnacle of Reagan’s Keynesian stimulus was the over $200 billion USD spent on the magnificent Star Wars programme. That injected an immense amount of stimulus into the American information technology sector. The technology patents it generated raked in a huge amount of money for the nation, greatly bolstering its GDP. It is little surprise that dominant IT companies like Microsoft and Apple remain, to this very day, American. The fact that ICBMs still cannot be reliably shot down by a guided missile is not of the slightest relevance whatsoever. Even if you are a smaller country like, for example, Australia, with Tony Abbott clinging desperately to American coattails, there is still a growing military manufacturing base. There is also a good chance of being rewarded with the spoils of war in the form of bilateral trade agreements with America, as an exchange for military support. Not only that, but the media management and public affairs side of things (it used to be called propaganda, but that word not being kosher today, it is referred to in doublespeak by another euphemism) is an enormous Hollywood styled circus show. Wars are often launched today on prime time television. There are cameras at the ready on the front-line, all meticulously managed to put an endlessly positive spin on things. Such sophisticated multimedia circus shows cost a fortune to stage. The fact that it helps Rupert Murdoch to sell newspapers is an added bonus of Keynesian demand side stimulus. Even better still, in the case of the US in the Middle East, they get to hire out a nice little playground to experiment with emerging military technology in the forms of military drones, along with any number of other cutting edge innovations. That results in a huge stimulus to the American high-tech robotics and armaments industry. Just as the US got to test nuclear technology in the playground of Hiroshima and Nagasaki, the playgrounds of Iraq and Afghanistan provide a testing zone to toy with emerging military technologies. 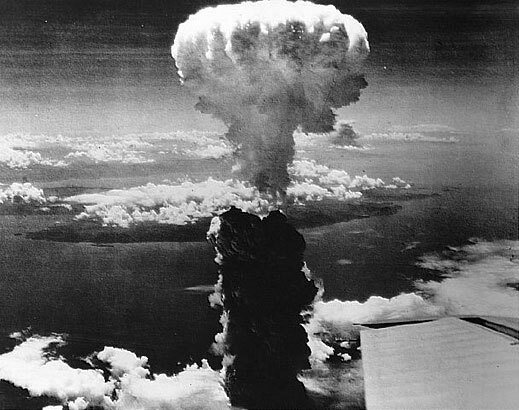 The principle purpose of detonating an atom bomb in the field of war was to use Japan as a playground to test emerging technology, while asserting the supremacy of American military technology to the whole world — an effective means of firing a shot across the bow of the Soviet Union. By this stage, the Empire of Japan was already history, and quite irrelevant to any decision making. No other nation has found a way of acquiring vast military testing grounds towards the infinite play of testing their emerging military technologies, as America has. Only live testing can help to ensure that American military technology remains truly cutting edge. The only way to really achieve that ultimate goal is to continually test cutting edge technology out in a live setting. 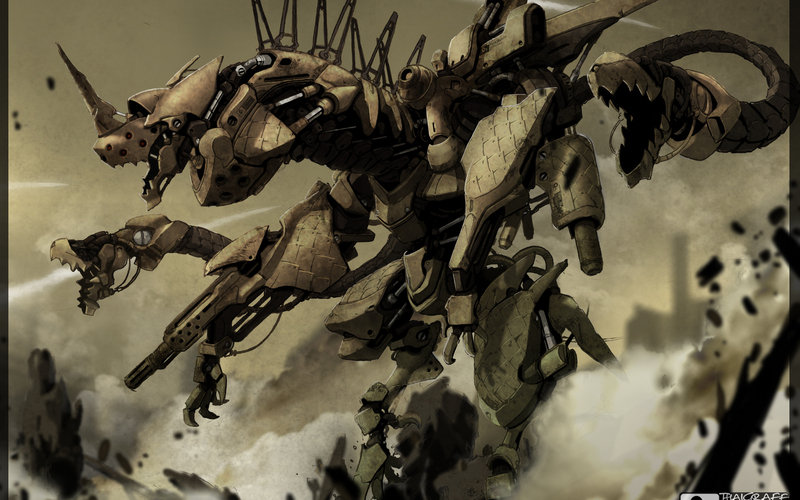 A futuristic scene with warfare waged by high-tech military robotic drones. Soon science fiction will become grim reality, making war an even more attractively entertaining bloodsport for those nations rich enough to afford the entertainment-technology. As a result, it is certainly only a matter of time before America will be in a position to wage war entirely using swarms of high-tech unmanned robotic drones. That way politicians will no longer have to put up with the irritating spectre of the coffins of the war dead being paraded through the streets accompanied by grieving family and anti-war protesters. Once the objective of removing such nuisance obstacles has been achieved, it will infinitely increase the public’s enthusiasm for the media-circus entertainment of war. Since the enemy has no vote in America, they do not count. All that matters is that war deaths and conscription be systematically eliminated as a source of organised anti-war antagonism at home. Only an abject fool would conceive of a world in which “war” would be waged against illness, poverty, and inequality for the betterment of all humanity. Most of the major technological advances of the 20th century, from blood transfusions to jet engines and nuclear power, were inventions of war. Even the internet is originally a military invention. Yet we must ask ourselves if humanity will ever learn that progress can be made in a civilian and non-military manner by waging “war” on the social ills of the world. Sadly, it seems not to be the case. In letting the world become this way, we are all unwitting partisans to this process — turkeys voting for Christmas. Instead, those employed in the munitions industry earn huge pay-rises due to shortages in skilled labour. 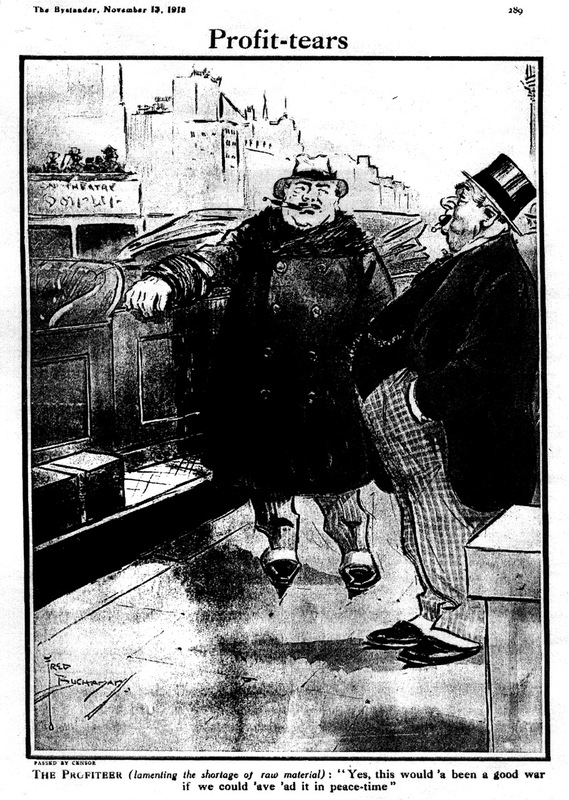 During the world wars, much resentment was directed against such workers spending money freely and enjoying themselves. 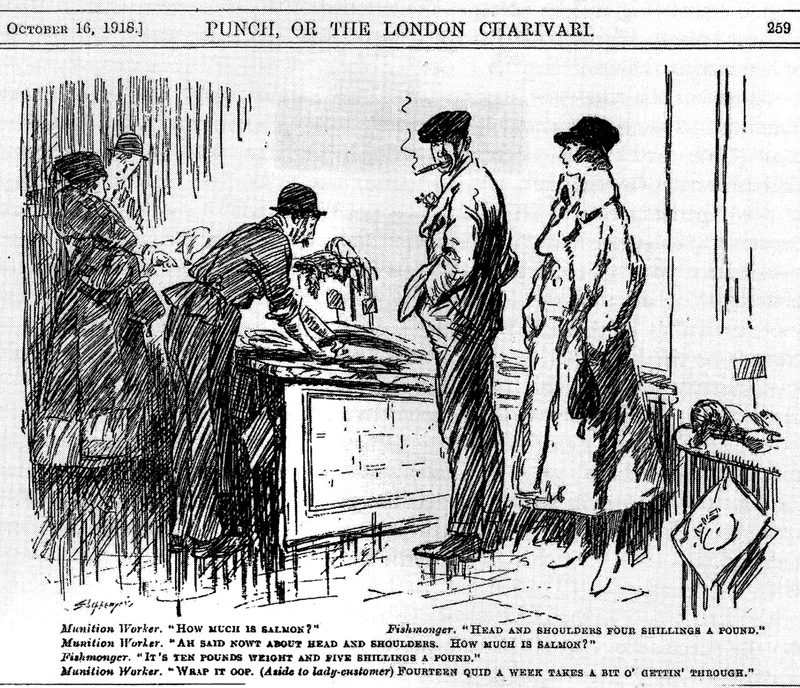 Munition worker: How much is salmon? Munition worker: Ah said nowt about head and shoulders. How much is salmon? Fishmonger: It’s ten pounds weight and five shillings a pound. War functions as an alternative way of providing social welfare to the unemployed. In other words, right wingers have no qualms about the government employing more and more working class people as long they do so as part of military service. Right wingers don’t even complain when military personnel on active duty earn extra income. It all functions as a the perfect right-wing Keynesian way of reducing unemployment. Recruiters for the military actively prey on those who are underemployed. It is effectively a form of social welfare — and of, literally, killing the most vulnerable and desperate of the working class on the battlefield, while top hatted industrialists bask in the lap of luxury, endlessly profiteering off the spoils of war. Whatever extra money soldiers earn on active duty remain but a pittance compared to the earnings won by profiteering industrialists, so it is considered money well spent. Astonishingly, right-wingers have few qualms about paying for medical expenses of military personnel, even for chronic medical problems acquired in the course of duty. They even happily pay pensions to spouses of the war dead, along with other social perks such as lifelong medical care. The welfare state is considered a wonderful thing as long as it is in the service of war. 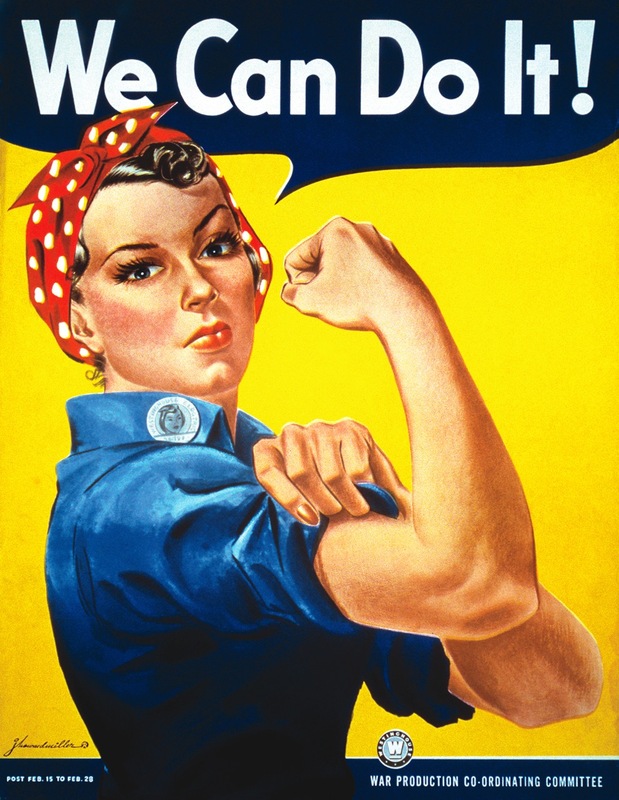 As long as these women keep munitions factories running 24 hours while volunteering to line the profiteering industrialists’ pockets with gold, feminism is welcomed with open arms and boundless enthusiasm. 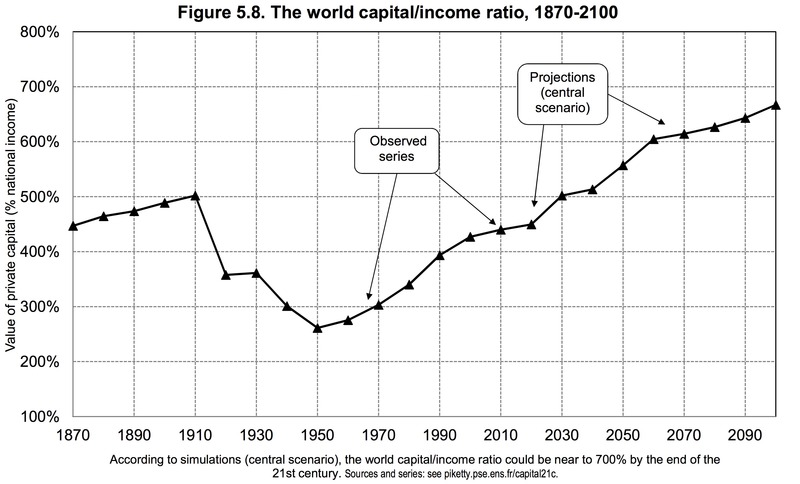 Piketty suggests social means of reducing the power of capital to reduce income inequality to avert a situation where inequality reaches levels akin to the feudal era. The likelihood that such social change will ever be adapted is close to zero. However, there is another way around it, one that will gain bipartisan support from the right — to have another world war. The fortunate result of such a massive endeavour as war is that small government is hardly possible when you are spending trillions of dollars to expand the military while developing expensive cutting edge technologies. So much for all the talk of small government liberalism. Nor does even the most vocal free market liberal ever campaign for the armed forces to be sold off to the private sector, so military expenditure ends up mostly in the government sector. It is hardly possible to reduce government expenditure when waging war, but that is precisely the outcomes that is desired. Dr Joseph Goebbels, PhD, speaking in his impeccably cultivated High German, was always a far more eloquent orator than Hitler ever was, with his embarrassing Austrian beer hall twang and shrill voice. What would England and America do if the great misfortune would befall the European continent by falling into the arms of Bolshevism? Will Europe be persuaded that such a development would be stopped by London at the borders of the Channel? I have already pointed out that Bolshevism already has their Communist parties as the basis of the foreign legions of all democratic nations. Was wollten England und Amerika tun, wenn der europäische Kontinent im gröbsten Unglücksfall dem Bolschewismus in die Arme fiele? Will man Europa von London aus vielleicht einreden, dass eine solche Entwicklung an der Kanalgrenze Halt machen würde? Ich habe schon einmal darauf hingewiesen, dass der Bolschewismus seine Fremdenlegionen auf dem Boden aller demokratischen Staaten bereits in den kommunistischen Parteien stehen hat. Nun, Volk, steh auf und Sturm brich los! Now, arise shall the People — as the Storm breaks loose! Remember this was not a speech about inciting genocide (something kept hidden from the German people), but about a Total War to wipe out the communist threat from the counter-attacking Red Army, and the Western allies of communism. The electrified crowd rises to its feet, and chants “Hail, Victory!” — over and over again in a state of orgiastic delirium. There is a good reason National Socialists are represented today as Charlie Chaplin comic book figures, goose-stepping in bizarre costumes, and that is so that people can delude themselves into believing that National Socialism remains at heart totally Other to them, when in reality the nearest “Nazi” to be found is the one staring back at oneself in the mirror: one that hates social welfare, civilian infrastructure building, and peacetime economic stimulus, and instead embraces the military Keynesianism of Total War. That being the tragic path the world has been set along — soon the Storm will indeed break loose. Is China Heading for a Soft or Hard Landing? Everybody agrees that the days of double digit GDP growth for China are well and truly over. The question becomes whether China will transition into a new phase of its economic development, a consumption based economy, one where lower GDP growth is the new normal. However, whether you are a China bear or a bull, either way, there is consensus that there will be a landing of some kind, as China transitions to its next phrase. The question is not whether China will manage to navigate itself through a difficult transitional period, but whether, in the process it will see a soft landing, or whether it will see a hard landing. China’s GDP growth is dependent on real estate with 33% of China’s economic infrastructure based on real estate. Everyone is in agreement that this has produced a Chinese real estate bubble. Buyers have enthusiastically brought up investment properties in the expectation that asset prices will continuously rise. Recently, however, real estate prices have fallen, triggering fears of a real estate bubble bursting — potentially with catastrophic consequences. A group of China bulls acknowledges that real estate prices became overpriced following the post-GFC stimulus package, leading to the overbuilding of infrastructure, but downplays the adverse impact it will have. While overstimulation has created endless bridges to nowhere, with countless ghost cities full of empty apartments but nobody in them, this is downplayed as a glitch that can be overcome. 1. Strict macroprudential regulation of the mortgage market from the outset. This includes the requirement for large down payments, especially for second mortgages. Since real estate bubbles can only burst due to subprime lending practices — no subprime lending means no subprime crisis. 2. If real estate prices correct too quickly, the government will immediately step in rather than taking the laissez faire approach as the US government fatefully took with Lehman Brothers. China will not wait for a crisis to blow up before intervening aggressively to advert systemic contagion. … China provides an economic example – when all other sources of expenditure fail, turn on public spending and do it quickly and don’t err on the conservative side. My Chinese contacts informed me that at the time [of the GFC] there was no discussion over there about the country drowning in debt or that the government was going to “run out of money”. These ideas that crippled the recovery in the West were not allowed to germinate in China. Since the Chinese government are never going to suddenly demand their money back from Chinese businesses, there is little likelihood of a systemic collapse from government debt. This follows the basic tenets of MMT, which does not hold such government issued debts to be a problem. 4. The recent drop in real estate prices is a deliberate correction, neatly engineered by Beijing in a controlled fashion, not a catastrophic bubble burst. If too much air is let out of the bubble, more stimulus will be applied to prop the bubble up, thus preventing it from collapsing abruptly. 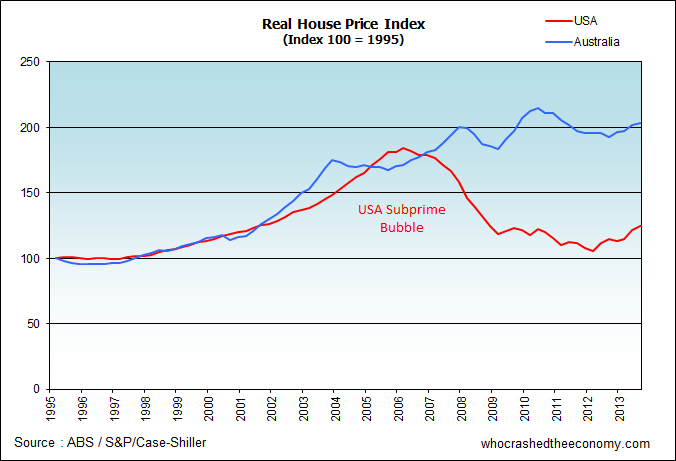 The property bubble deflation will be an orderly and controlled slow leak, not a sudden burst. It is clear that if investment slows, then the rate of accumulation of capital slows, and the growth in future productive capacity falls. So we might expect as China attempts to engineer a more or less orderly shift from capacity building to domestic consumption that its phenomenal growth rates (above 8 or 9 per cent) will taper somewhat. 6. Low government debt to GDP ratio. The Chinese central government has low debt – only 22% of GDP at the end of 2013. This leaves significant fiscal firepower in reserve that could readily be mobilised if a real estate sector downturn were to affect the wider economy. Japan left it too late to inject stimulus after the Japanese bubble burst, but China may be keen to avoid the same mistake. 7. The excess capacity in production and housing will eventually get soaked up as the economy grows. A huge number of workers living in rural areas are moving to cities, who will contribute to industrial output and purchase excess urban housing. The pro-China authors worth reading here include: Dr Albert Cao (author of an upcoming book on the China property market), as well as William Mitchell’s blog. The problem here is that centrally directed stimulus is meant to be a demand-side solution. By reallocating the unemployed into public works projects, or by putting excess production capacity back into use, it contributes to the productivity of the nation, while giving workers a wage. The workers go out and spend their wages, while the resulting infrastructure further contributes to future GDP growth. If you over-stimulate in the form of excess real estate construction, then you end up doing the opposite of what you are trying to achieve. Rather than acting as demand side stimulus, you end up creating an excess of supply. You find yourself with a huge glut of excess housing which causes the prices of real estate to collapse the moment you stop propping the whole scheme up with more and more stimulus. Part of the problem is that building houses is an inefficient way of enhancing productivity. At some point this process of propping up the property bubble with more and more overstimulation has to stop. The end result will be a collapse in real estate prices. A huge amount of money put into real estate by speculators will be lost, leading to an economic crisis. A collapse in property asset prices may reveal the stark truth of the extent to which the Chinese shadow banking system has spread its tentacles through the entire economy, while uncovering hidden Ponzi schemes, and rampant corruption. This accumulation of toxic debt that managed to worm its way around all the official macroprudential measures to curtail subprime lending, could lead to a collapse of the financial system. If the government intervenes to bail the shadow banking system out, this will result in the creation of unproductive zombie banks and businesses which will drag the economy down. Furthermore, the claim that property asset bubbles can only collapse if burst by American styled subprime lending practices is problematic. However, as previously discussed, the Japanese example (as well as the Spanish one) shows that asset bubble deflation can be initiated through differing mechanisms, and that this can perfectly well occur in the absence of American styled subprime lending. History never repeats — but, as the saying goes — it often rhymes. Even though there have been strict macroprudential measures imposed in China, requiring 30-40% down payments on properties, these restriction are steadily being slackened off each time the real estate market slumps. Meanwhile, Beijing has become overleveraged with debts accumulating at an enormous rate. The total debt in China has now reached to around 250% of GDP. If this is allowed to continue, mainstream economists worry that the country will “run out of money” and a national debt crisis will ensue. To avert this, it is asserted that China has to go through a deleveraging process. Unproductive banks and businesses must be allowed to fail rather than being continually bailed out. Presumably, as more US-trained PhD students go back to China with their nonsensical [neoliberal] economic theories things will change. These PhD students will urge the government to deleverage on the grounds that all government debt is necessarily toxic and dangerous. If Beijing listens to these younger economists urging reform, the end result may be a replay of the bursting of the Japanese real estate bubble and the two lost decades that ensued. They have so much more scope to expand although all of us will rue the environment impacts of that expansion. 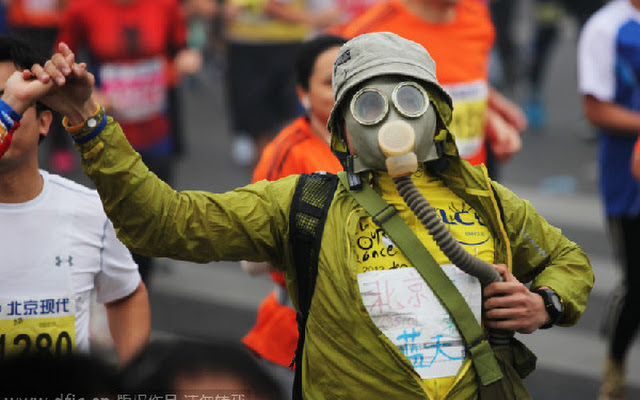 Pollution has gotten so out of hand that some parts of China are slowly becoming uninhabitable, the air unbreathable. With it will grow the discontent of the people towards Beijing. Those who can afford to will understandably want to get out — a vote of no confidence in a regime in which they are not allowed meaningful participation, and which they expect will fail to address their concerns. Bearish authors predicting China will crash and burn are numerous, and have been at it singing the same tune for years. Here are typical articles warning about Chinese debt and the zombification of the financial system. Yet the sky has yet to fall on our heads. Amongst economists, William Mitchell mentions Roubini, but Harry Dent is also predicting China will go the way of Japan. So What Will Really Happen? How the Chinese economy should be steered is a matter of fierce debate in Beijing. The Chinese will be having the same debate as we are. What the future holds remains as always profoundly uncertain. In Beijing, there is a strong divide between the conservatives and the reformists. The reformists want a greater role for the market, and want to shift control of the economy to the free market, through reform. The conservatives want to maintain central control over the economy. In short, the conservatives want centrally engineered growth of the economy. The reformists want to see less centrally planned stimulus, resulting in a systemic deleveraging, as the government spends less to stimulate growth, and hands control over to the free market. If China goes through a deleveraging process, then this will result in a more rapid deflation of the real estate bubble. President Xi is pushing China in this direction, but he needs to consolidate power before he can push through this reform. The process of cleansing China of shadow banks, corruption, and of zombie banks supported by the government will be seen as painful, but necessary. There could even be a recession along with way towards reform. This would represent China taking up more Western neoliberal economic principles in accepting the common Western advice for the need to deleverage. On the other hand, the conservatives will probably like what MMT theorists such as William Mitchell have to say. 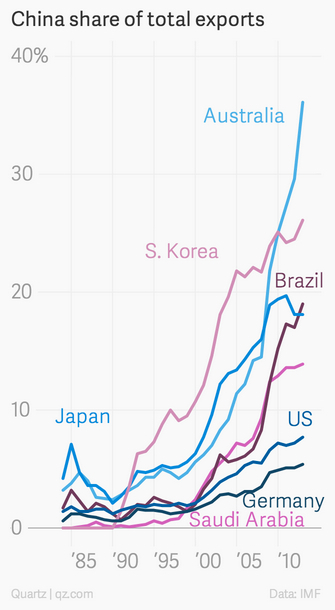 They will argue that China has a long way to go before it can call itself a developed nation. There is much centrally directed development that needs to continue. If the real estate bubble burst has negative impact on the economy, they will demand stimulus to further prop up growth. The trouble is that China has gotten into a habit of overstimulating the wrong sectors of the economy, resulting in gross misallocation of funds. All towards the easy path towards propping up the GDP growth figures as part of a massive propaganda exercise. The problem is that overbuilding real estate is not quality GDP. Worse still, regionals authorities achieve their growth targets ordered by Beijing through easy liquidity obtained from the shadow banking sector. The danger is that instead of centrally directing development aiming to improve creating sustainable growth, reducing social inequality, improving the environment, and setting up an all encompassing system of universal heath coverage and social welfare, China seems content to prop up its GDP by any dubious means as a capitalist ego building exercise. Bo Xilai may have been the last chance for China to fight corruption and reform towards to an ideal of social democracy. He has been silenced. Now the old socialist ideals have been vanquished, all that risks remaining is crony capitalism, gross wealth inequity, brutal neoliberalist imposition of austerity, and endemic corruption, while the ordinary disempowered citizen is forced to suffer in silence. The irony is that Marx predicted that social revolution would arise with the growth of an increasingly unruly middle class in advanced industrialised nations. He never predicted revolution in backward agrarian based peasant economies such as Imperial Russia or China. The sort of social environment that Marx thought was fit for revolution is more like the China of today. 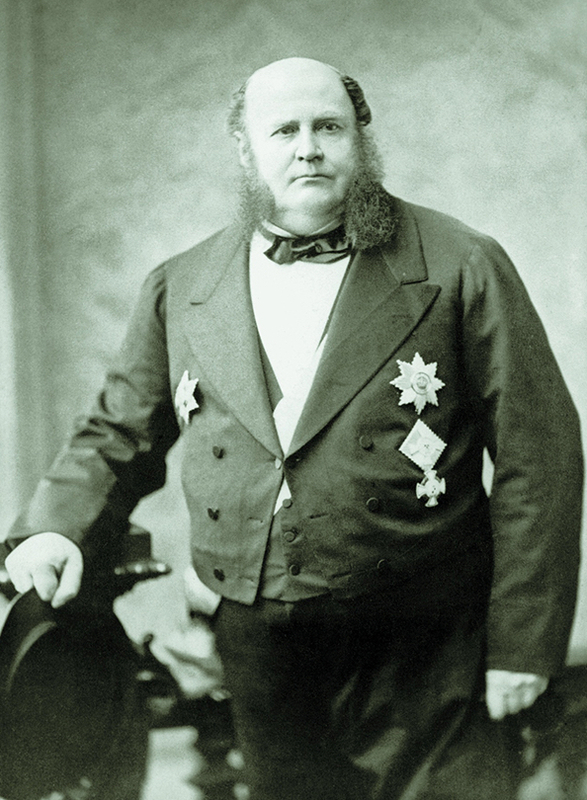 While William Mitchell may well prove right when he wrote that “I consider the Chinese government to be totally on top of managing their economy, which sets them apart from the leaders in the advanced world”, the corrupting powers of monetarism, and the seductions of casino capitalism may yet bring down Beijing. In some ways, the previous discussion is rather moot. Either way, whether there is a soft-landing or a hard-landing for China, both outcomes are going to result in difficulties for Australia. The choice between one or the other, is a choice between bad or worse. The likelihood of an Australian soft landing are even more remote than for China. A collapsing real estate market will push a lot of Chinese investors out of China. They will take their equity to places like Australia, thus further pushing up property prices in places like Sydney and Vancouver. This is what happened when the Japanese real estate bubble burst, and there was short-lived rush to invest in international property. That was when Japanese investors purchased landmark real estate like the Rockefeller Center. As the Japanese bubble collapsed, these properties were sold off at a severe loss. It is likely that there will be a phase lag between the peak of the Chinese real estate market and the Australian real estate market. The length of the delay depends on events in China, and the velocity of the deflation of the Chinese real estate bubble. The Australian market will peak between 9 to 24 months after the Chinese one, depending on whether there is a soft or hard landing. The process of sneaking grey money out of China has already begun, as President Xi clamps down on shadow banking and corruption. This has accelerated a trend to escaping out of the country to destinations such as Australia, resulting in a rise in real estate prices in favoured cities. There may still be a repeat of what happened around 2012, when Chinese property prices dropped. 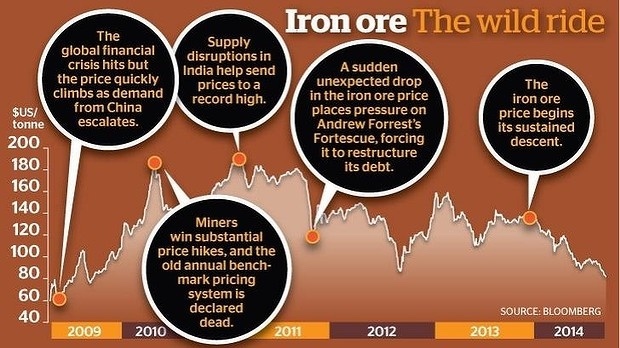 There a stimulus package arrived to producing another round of real estate constructing thus propping up Australian iron ore prices, and prolonged the mining boom another day. This seems to have convinced the mining industry that China can always be counted on to come to their rescue with another stimulus package. However, the current line from Being is officially “no big stimulus“. As President Xi consolidates his position, the old policy of endless stimulus may be more consistently replaced with a policy of systematic deleverage and neoliberal austerity. Alas, the simple conclusion is that we have no crystal ball, and that no definitive conclusions are humanly possible. Yet what remains certain is that the future of China remains uncertain, while the future of Australia seems rather grave. However, if the reformists, lead by President Xi, get their way in Beijing, a process of painful deleveraging will occur in China. That means deleveraging will begin in Australia too, which will see the popping of asset bubbles, and a cycle of stagnant deflation. [China’s] problems are going to be political – taming an increasingly rowdy middle class. If the middle class lose a lot of their life savings in a real estate bubble burst, there could be a great deal of anger towards the government. The sort of protests in the streets of Hong Kong could spread to the mainland. Regional separatist movements, even civil war could break out. Civil unrest in China following an economic downturn with collapsing real estate market will push a lot of Chinese people out of China. They will try to escape with a lot of equity to places like Australia, thus further pushing up property prices in places like Sydney and Vancouver. It is difficult to imagine that China’s path into the future could only be plain sailing without a single obstacle along their way. However bright the long-term future may turn out to be, somewhere along the way there will arise challenges. To date, China has had it too easy. No doubt about it, Australia’s destiny will be closely intertwined with that of China, and the ride may be about to get a whole lot bumpier. In tackling the oft debated question as to whether a real estate bubble exists in Australia, the answer you get is highly dependent on whether you think that asset prices are largely determined by global macroeconomic forces, or whether you think that local market forces dominate. It is just an infinite mantra for international commentators, for analysts based overseas to say ‘well, you know, there’s a bit of a housing bubble emerging in Australia’. That is rather a lazy analysis, because fundamentally we don’t have enough supply to meet demand. The biggest problem with this is that already in 1875, Baron Meyer Carl von Rothschild had noted that: “the whole world has become a city”. Rothschild’s observations were in response to the way stock market crashes in the US would spread a wave of adverse economic contagion to the rest of the world. Just as we had the dotcom technology bubble, there were similar manias driven by speculation in the technological innovation-driven railroad stocks of the 19th century. The effects of a crash in American railway stocks would be rapidly felt in Europe. In our digitally connected age, the world has become immeasurably more tightly interconnected than ever it was in 1875. Failure to recognise this deeper interconnectedness of the global economy lead German finance minister, Peer Steinbrück, to make an abject fool of himself on the eve of the Global Financial Crisis in 2008. “The financial crisis is above all an American problem”, Steinbrück confidently proclaimed, adding that “the other G7 financial ministers in continental Europe share this opinion”. Days afterwards the European banking system collapsed. Steinbrück’s fatal error was failing to realise that “the whole world has become a city”. Things that occur at a local level must also be seen as the result of global macroeconomic forces. One common fallacious argument put forward to suggest that no real estate bubble exists in Australia is that American styled subprime lending practices are not rampant in Australia as they were before the American property bubble burst. Therefore the American real estate asset deflation process, we are told, is entirely a local American problem of no further relevance to Australia. In this view, the bursting of the American real estate bubble teaches us nothing about global macroeconomic forces — of relevance to all countries — but only about local American issues. It is just as Steinbrück asserted: “the financial crisis is above all an American problem”. … the crisis was less a function of subprime mortgages than of a subprime financial system. Thanks to everything from warped compensation structures to corrupt ratings agencies, the global financial system rotted from the inside out. The financial crisis merely ripped the sleek and shiny skin off what had become, over the years, a gangrenous mess. As Roubini says, it is a catastrophic mistake is to dismiss the GFC, like Steinbrück did, as being purely a local American problem, rather than as a problem reflective of much broader global macroeconomic forces and trends. It was hardly possible to ignore global macroeconomic forces back in Baron von Rothschild’s day, and to do so in the 21st century reflects a degree of ignorance bordering on the comical. The best illustration of the fact that subprime lending practices were not the singular cause of the bursting of the American real estate asset bubble is the example of the Japanese real estate bubble. Nobody claims that subprime lending practices alone drove the Japanese bubble to burst back in 1990. The trigger for that was that the Japanese central bank deliberately spiked the bubble by pushing up interest rates. 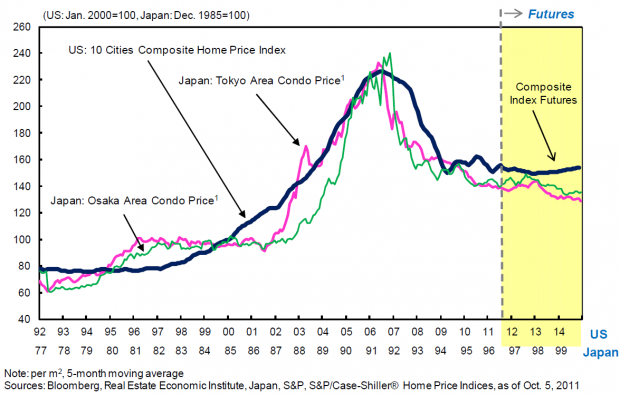 The Japanese bubble deflated with less of a bang than the American one. There was no collapse of the global banking system. The country did not go into recession overnight. Yet in the long term, the effect was hardly any less severe. It resulted in a lost two decades struggling to overcome stagnant deflation, while lurching from recession to recession. You can see that the velocity of the American bubble deflation was much greater than the Japanese bubble. Yet, the macroscopic structure of the deflation process remained remarkably similar in both cases. The relative velocity of property asset deflation, however, can be understood in terms of localised differences. The principle difference between Japan and America is that America has a much greater degree of income inequality than Japan. Thomas Piketty, in Capital in the Twenty First Century, tells us quite rightly that if Americans had all been guaranteed good wages, there would never have been such a demand for subprime mortgages in the first place. All the subprime element of the crisis did in America was to accelerate the velocity of bubble deflation, to the point it engendered a massive financial shock of huge proportions as the bubble popped with an abrupt bang. The Japanese experience shows that bubbles can deflate much more slowly without anything like a bang of sufficient violence as to take the world economy down with it, yet still have crippling long term economic consequences. You can see that it has grown bigger than the American one — or even the Japanese one. What Australia has to learn from this is that it is utter nonsense to suggest that real estate asset deflation can only occur with a bang produced when subprime mortgage defaults prick the bubble. We are deluding ourselves if anyone thinks that property bubble deflation cannot occur as long as local lending practices do not embrace American styled subprime lending. The whole trend towards real estate asset bubble formation, followed by asset deflation cycles culminating in stagnant deflation, is a global phenomenon. All advanced economies that went through the neoliberal reform process leading to easy lending practice, to the point that private households ended up to the eyeballs in debt, are going through this worldwide deleveraging process. Only a fool could conclude that property price cycles seen within nations are purely the product of local economic forces of no relevance to Australia. Everyone focuses on the now out-of-control $17 trillion [US] government debt that has mushroomed from $5 trillion in just 2000. But the private sector accumulated far more debt since the 1980s boom started. At the peak of the debt bubble in 2008, private debt racked up $42 trillion, which includes $14.2 trillion of consumer debt — mostly mortgages. Then we hit a wall. A slight increase in interest rates and millions of Americans could no longer meet their monthly mortgage repayments. Then they could no longer make their credit card payments. Then they could barely get food in the house. It is only a matter of time before Australia hits a wall and the deleveraging process begins, resulting in a deflationary cycle from within a recessionary environment. For even without subprime lending practices, grotesquely inflated house prices and rents inflict immense hardship on those least able to afford it. There is a reason why poverty and homelessness are on the rapid rise in Australia, even if the minimum wage here is far more reasonable than America. High housing costs are one of the main reasons for this financial stress. Yet for every person living in poverty there will be someone else struggling to meet mortgage payments. Even those in higher income brackets have most of their income disappear into mortgages. That means equity ends up trapped in real estate — a hopelessly unproductive aspect of the economy. That means that there is less money going towards the service and sales sectors of the economy. Nobody can afford to spend money on anything other than rent, mortgage payments, and bare essentials. Industry, too, comes under pressure to increase wages to keep up with the price of the ballooning cost of housing — an inescapable cost of living. That increases the cost of manufacture. Everybody loses out. The trouble is that winter is coming. The Australian Indian summer, extended by the Chinese driven mining boom, will soon end. Australia’s 24 year recession-free run has to come to an end some time after the mining boom ends. That means even more mortgage stress, and less money going to the service and sale sectors, as Australians are left with no other discretionary income, because the mortgage eats up the entire income. When the mining boom ends, Ross Garnaut warns that Australia will have to shift from mining to a productivity driven economy. However, with all of that equity caught up in real estate, and unable to be freed to stimulate the productivity based sectors of the economy, the result can only be disaster for Australia. At some point, the property asset bubble deflation simply has to occur to allow equity trapped in the dead-end of real estate to flow back into productive sectors of the economy. Housing will become affordable again, manufacturing costs will go down and national productivity will increase. It is furthermore a delusion to think that property asset prices only ever rise. Nor is it plausible that real estate prices can reach a “permanently high plateau”. That phrase was used by economist Irving Fischer, who, when stock prices stopped climbing, predicted that the stock prices had reached a “permanently high plateau”. Almost the next day in 1929, the markets crashed plunging the world into the apocalypse of the Great Depression. It is almost as comical as Steinbrück’s sweeping assertion that “the financial crisis is above all an American problem” on the eve of a European banking collapse. Far from the idea that there exists a global real estate cycle involving Australia being a “lazy analysis”, the breathtaking myopia belongs on the side of those who ignore complex systems wide macroeconomic analysis in favour of a “lazy analysis” based on simplistic local supply-demand issues. Baron Rothschild would be turning in his grave. Tony Abbott has announced to the world that ‘coal is good for humanity‘. We are clearly in need of a good English translation, for the Prime Minister speaks in riddles. It really means that coal is good for the Liberal Party coffers. What is good for the Liberal Party coffers is thus, of necessity, good for ‘humanity’. After all the Liberal Party represents all humanity. So let there be more coal mining, and thus more humanity. It is a most curious tautology, the unintentional humour of which escapes him. Unintentional humour is always the best humour of them all. More precisely, it is all part of the Liberal Party Suicide Strategy to invest in the dinosaur technology of coal. That way the Australian economy can go the way of the dinosaur, while gullible lemming-like Liberal Party faithful vote like turkeys for Christmas. But that troubles Tony Abbott little since this concerns matters that extend beyond the limited shelf life of a party politician. What matters is that coal mining companies fill the Party coffers today, well before coal miner’s share prices eventually dwindle to oblivion — gone the way of the dinosaur. This could be declared against “national Interest” and get me 5 years jail. What is the “national interest” today and who defines it?